SIBO breath testing can be an incredibly valuable tool for those suffering with gas, bloating, abdominal pain, loose stools, and/or constipation. However, there is debate on what the best test is and how to interpret the test results. Today Dr. Allison Siebecker and I discuss the new North American Consensus statement regarding SIBO breath testing. We also discuss an upcoming SIBO summit Dr. Siebecker is organizing. For a detailed write-up on this topic, please see the Future of Functional Medicine Review Clinical Newsletter. If you need help with SIBO breath testing , click here. Dr. Michael Ruscio: Hey, everyone. Welcome to Dr. Ruscio Radio. This is Dr. Ruscio. And I am here with Dr. Allison Siebecker, my SIBO crush. We are on the same page with so many things, so I love talking to you about SIBO and all the gut-related stuff. And today, she is back to tell us about two things. One, first, this SIBO Symposium she is setting up. And then we are going to, after that, jump into some details on the North American Consensus for SIBO Breath Testing, which I think is going to be a very insightful conversation. So Allison, welcome back to the show. Dr. Allison Siebecker: Thank you. DrMR: So you’re doing a SIBO summit. Tell us a little bit about the summit. I expect it’s going to be fantastic like everything else that you do. So tell us a little bit about that, what gave birth to it, and what people might expect from that. DrAS: That’s very kind of you. Yeah, I’m really excited about it. Gosh! With all the online health summits that there have been, there has not been one on SIBO. And so many people have said, “There should be a SIBO summit.” But nobody wanted to do it. It’s so much work to do a summit! And I certainly thought it would be really good to have one. So it’s really her. She’s the lead. It’s her project, and I’m helping. And I’m just thrilled, because my mission is to raise awareness of SIBO and educate. And that’s just what this summit is going to do. And just, from her perspective—obviously, I have the physician or the practitioner perspective. I am also a SIBO patient, but she is really embodying the patient perspective. Her situation is that she has a positive IBS check, meaning that she had food poisoning as a cause of her SIBO. And that lets us know that she has those damaged small intestine nerve cells. And sometimes, people get better from that. And sometimes, they don’t. So that’s a difficult circumstance. She has Ehlers-Danlos syndrome, which can be a forever cause of SIBO. And then she has Lyme, which is another cause of SIBO. And she has more, but she talks openly about those things. So I think she’s a great person to put this on, especially because, being a TV host, she’s really good at interviewing and doing all that. But she’s coming from the challenging patient side, and she wants to help other patients particularly so they don’t have to have it take as long as it did for her to get some relief and get some proper help. And then my perspective is I just want to raise awareness, get as much good information as I can out there. And the summit is for both patients and doctors. And we’ve got all levels of discussion on it, and that’s one of the things I like so much about it. It’s really very integrative. I think most summits are. But certainly, this one is because we’ve got M.D. gastroenterologists. We’ve got naturopaths, chiropractors, yourself. You’re going to be on it. We’ve got nutritionists. And we’ve health coaches. And then we’ve got just regular old patients, several of them telling their stories of what worked for them and those sorts of things. So it covers the whole spectrum—integrative in terms of Western and Eastern medicine and in terms of the types of speakers. And then one other thing that I think is really cool that stood out to me as I’ve been getting the chance to listen to the interviews now is that it’s integrative in terms of—there’s a lot of information on the physical aspects, the medical/physical aspects, but also a lot on the mental and emotional aspects of having this condition and just having chronic disease and tips about that. And I love that both of those are there. DrMR: Awesome! Awesome! And where can people go? I’m sure there’s a URL. But where can people go to plug into this? DrAS: Oh, that! Good point! DrMR: Yeah! That’s all right. That’s why we’re a team. DrAS: It’s called the SIBO SOS Summit. DrAS: That is the name that—Shivan is the one who’s leading the project, putting it on. She chose that name—SIBO SOS Summit. And the advertisement for it—we’re recording this in April—the advertisement for it will be up soon. So of course, I’m sure you’ll put it in the link underneath in the podcast. And I’ll have it on my website, which is SIBOInfo.com. And there will be plenty of ways people can hear about it. But I just think it’s going to be awesome. It’s scheduled for Saturday, June 24th, which was an interesting choice Shivan made. She really is viewing it as a conference. It’s like a cross between a conference and a summit. It’s a conference in that it is on a weekend, kind of like when you go to these conferences and they have multiple tracks and speakers, so a lot of speakers. But it’s like a summit in that you actually don’t have to pay. It’s free on each day, as many speakers as you can partake to listen to. So unlike a conference where you have to pay a hefty fee. Of course, if you want to hear all the speakers, like at a conference, you’d buy the summit so you can get a chance to listen to everyone. DrAS: Then when you buy it, it’s also a lot cheaper than a conference, kind of like how summits usually are. They’re an unbelievable value, what I see summits going for, these unbelievable experts. It gives people such an opportunity to get access to these experts without having to wait to get in on their scheduling and pay. You get to see something like 25 experts for the price of less than one, if you went to see them in person. So anyway, the summit starts Saturday, June 24th. And the website where you can find out more information is sibosos.com. DrMR: Gotcha. And we’ll definitely get the definitive URL, put it in our notes. And I’m sure if people are just driving and listening to this, if you search “SIBO SOS Summit Dr. Siebecker” or something along those lines, it should come up pretty easily. And essentially, what this was, was an attempt to provide a consensus for North America in terms of when to test, how to perform the test, how to interpret the test, and just some of the brief background. And then we can get into the details. And there’s a lot here, so we’re going to do our best to get through this. But there’s definitely a lot here. And I should probably mention that we will be featuring a detailed write up of this paper in The Future of Functional Medicine Review. So for the practitioners that want to get a detailed, bullet point break out of this, we’ll have that there for you also. But 17 clinician-scientists were surveyed to develop this consensus. So essentially, you have people who are both in clinical practice and performing research who were surveyed to try to come up with a consensus on these different aspects of SIBO breath testing. They also comment that “SIBO should be excluded prior to performing carbohydrate malabsorption testing to avoid false positives.” And I think those are some of the most salient. There are a couple others on carb malabsorption, but I don’t think people are overly concerned about carb malabsorption. So why don’t we start there, Allison? And then we can get into some of the details. DrAS: You just brought up so many points. DrAS: Diagnosing SIBO which is very, very important. When they say that it can be used for carbohydrate maldigestion—and they’re also discussing the use of it in various parts of this article for lactose and fructose malabsorption. I think what’s really important to keep in mind there is the symptoms of SIBO are an expression of carbohydrate maldigestion. And so I think why that stands out for me is they’re letting us know that that—it’s like, carbohydrate maldigestion could apply to SIBO, lactose, fructose, and many others. So that’s where that relates. But in terms of some of these indications—let’s just start with the indications. If I might just go slightly off topic here, I really like that they made the point to say there was 89% agreement that culture as a diagnosis for SIBO—it’s not satisfactory. DrAS: And I’m really pleased that they put that there, because in many articles it has been considered to be the gold standard, but then in almost all these articles they say, “Except it’s not very gold.” They talk about it like that, and I’m really pleased that they came out with that. There are a lot of problems with culturing. And by the way, what this is referring to is an endoscopy tube that is put through the mouth, down the throat, through the stomach, into the small intestine. You sample fluid. And then you culture it for what bacteria are there and the amount. And the issue is the tubes can’t reach past about the 3 feet, about, of the small intestine. So similar to glucose breath testing, for SIBO, it can only diagnose proximal SIBO. And in fact, really, it’s quite local, because where did you get that exact sample from. If you’d gone 1 foot more, you might have gotten a completely different result. DrAS: So just for that point, I was very pleased that they said that. And they also made the point about culturing. If you are going to do it, or for studies, there was a pretty high agreement, 78%, that used 103. And that’s just important for me. I read a lot of studies,and this has been a debated thing. The old diagnosis for culture used to be 105. And it’s been written about for years that it should be changed to 103. And I’m just really glad that they published their agreement on that. DrMR: And that was predominantly because they found that there was a fairly high level of people that express symptoms that are consistent with either SIBO or IBS who were above the 103. Correct? Is that the main rationale you see behind that recommendation? DrAS: Yes. Yeah, actually, yes. And what had happened was 105, when Dr. Pimentel went and did a bunch more research, he found that that level was associated with people who had had Billroth II surgery that really creates blind loops. And so that is too high. DrAS: And that the true normal amount is under 103. And exactly at 103 is when you start expressing symptoms. So it was kind of like changing it from—the old definition of SIBO used to be, really, about blind loop syndrome, the surgical circumstance. And we now know that we can have SIBO from other causes, and that diagnosis needs to be a little lower. But back to some of these other things that you said. There were so many that you said. I’d like to, just for a moment, talk about that one about ‘do breath testing for SIBO before your other carbohydrate testing’—so your lactose or your fructose malabsorption testing. And this is an interesting one to me, because there are some details here. So what I wanted to say about it is that if you run a lactose or a fructose breath test and it’s positive within the first two hours, that indicates SIBO. It indicates two things. It indicates you have SIBO, and then you also have the malabsorption of whatever sugar you just tested for. So let’s just say it’s lactose here, and in that case, you don’t know. Is the lactose malabsorption secondary to the SIBO? Or does this person have two distinct problems in and of themselves? And so it’s an interesting thing, because also if you did run, say, the lactose and the fructose and a person has SIBO, they might not be positive, because this gets into the concept of the studies Dr. Enko has done in the last year or two on carbohydrate-specific SIBO. And what he was saying is not everybody will be positive with a lactulose or a glucose test. Certainly more people are positive with lactulose test, because maybe the bacteria that’s overgrown in their SIBO might not like to eat that. But if you had done lactose or fructose, maybe they would have eaten that, or one of the sugar alcohols. So that’s starting to drill down into some details here, but it’s just an interesting point. So I think they’re right on this, because where the false negative is really concerned about is if a person came positive for, let’s say, lactose in the first two hours, you know they have lactose malabsorption, but you also know they have SIBO. And so the false positive could be that it’s secondary. It’s secondary lactose malabsorption, secondary to the primary of SIBO, and so you don’t know if it will clear or not. And really, it changes the treatment, because if you have primary lactose malabsorption, the treatment is going to be enzyme replacement. But if you also have SIBO, you need to know that. Basically, you need to know if a person has SIBO or not when you’re testing for these other carbohydrate malabsorptions. So it gets kind of detailed, but I agree with the recommendation. You should find out with lactulose and/or glucose if they have SIBO and then move on to the other carbohydrate malabsorptions. So sorry, I just did a ton of stuff there. So you go ahead. DrMR: That’s fine. And maybe just to recapitulate that very simply for people—if you have SIBO, you may look like you have carbohydrate malabsorption, but you really don’t have it, and those symptoms will go away, and you won’t need to adhere to a fructose-free or a lactose-free diet after your SIBO has been cleared. DrAS: Well, you really do have it, but you have it secondary. DrAS: So it’s the difference between primary and secondary. You truly are malabsorbing that lactose or fructose if it came positive, but it’s not primary, as you say. DrMR: Right. So there’s a treatable solution in treating the SIBO that may make that problem go away. DrMR: And yeah, so I was very much in agreement with them, where we want to solve that problem first so that someone doesn’t think they have to eat a fructose-free diet for the rest of their lives. DrMR: Because the real cause of the problem may have ultimately been the SIBO, and that’s why interpretation of testing is important, because someone may come in a positive fructose malabsorption test and be told they have to avoid fructose for the rest of their lives, but it may actually be caused by SIBO. So that’s why I harp on one of these things where, just because something is positive doesn’t mean it’s always a true positive or doesn’t mean that there’s not interpretation that has to go into that. So I’m definitely on the same page with their consensus there and your opinion on that consensus. And maybe what we can do, Allison, to give us a little bit of structure is follow some of the categories that they broke these recommendations down into. DrAS: Great. Let’s do it. DrMR: They had testing prep. Then they had indications for testing. Then they had rules for performing the test. And then they had interpretations of the test. So maybe we can go that way to help. DrMR: Because like you said, there are so many things here that it’s going to be hard to try to organize them all. So with testing prep, I’ll rattle off a few things, and then you can rattle off a few things, and then we can maybe go into some of the details. They recommended that antibiotics should be avoided for four weeks prior to the test. There was no conclusion regarding stopping probiotics or prebiotics prior to the test. If tolerated by the patient, they recommended that pro-motility drugs and laxatives should be stopped at least one week prior to performing the breath test. They, of course, recommended to avoid fermentable foods—not fermented foods, but fermentable foods. Often those are the same, but sometimes, people confuse those—fermentable foods for one day prior to the test and also to perform a fast 8 to 12 hours prior to testing. They recommended no smoking and to avoid rigorous physical activity. And they commented that there was no need to stop proton-pump-inhibiting, acid-lowering-type medications prior to the testing. Anything you want to add there, Allison? DrAS: Yes, I would love to. So the first recommendation—a key point here. It was 89% agreement. No antibiotics four weeks prior to the test. However, if you go into the text of the article, they explain that that applies only to the initial test. But when you’re retesting—so now, you already know that somebody has the condition and you’ve treated them—when you’re retesting, it is absolutely okay to test right away, like the last day or the day after. And that’s a really important point, because a lot of the instructions in test kits don’t explain that. I’ve called many of the labs and asked them to add that in there, and I haven’t checked back to see if they have. But it really confuses patients. So most doctors know this, most of us know we can retest right away. We want to because we need to see what our treatment did quickly before they may relapse. However, patients, even if the doctor tells them this, “Look. I want you to test two days after you’re done.” And let’s say they write it in the patient instructions, and they hand it to them physically, and they put it in their electronic chart—all of that. Still, patients will ignore all of that, forget all of that and just read the instructions in the test kit if they’re doing it at home. So it’s like they’ve got two different sets of instructions, and they usually wind up deferring to the instruction kit, and that is a bummer. So what will happen is they’ll wait two weeks or four weeks, totally going against what the doctor wants, and it really throws the whole thing off. So very important point that they have listed in the body of the article. It’s totally okay to retest right after antibiotics when you’re just finishing a treatment. DrMR: 100% agreed. And of course, that does appear in the write up. And I have that bullet organized in the performing of the test. So I did have a note for us to come to that because you’re right. That is a hugely important point that we do not want to screw up. And I always will instruct my patients to perform the retest within a week of ending the antimicrobial therapy because, yes, we wouldn’t want someone to wait four weeks, because that could be enough time for someone to have a significant relapse in that period of time, and that throws off our ability to assess the effectiveness of the therapy that we were trying to assess. DrAS: Totally. And then the next one was—the second one down, I wanted to make a comment on. They had a 78% agreement that there should be no pro-kinetic/pro-motility drugs or laxatives for one week before the test. Now, what’s interesting here is their concern is that we could create a false positive by creating fast transit. So they’re concerned that maybe the substrate would move through too quickly. And then we’d really be seeing the large intestine time and would interpret it as the small intestine time. Now, what I will say is, for laxatives, I would agree with this. I’ve done quite a bit of experimenting with this. And certainly, it takes a good four to five, really almost more like five days before you start getting—you’ll see the difference actually. So it’s particularly for constipated methane-type patients. They don’t talk about this, but you can have a falsely low methane, believe it or not, when you use laxatives because, in fact, the laxatives can sort of purge it out. So I definitely think that’s a good idea. And in this case, laxatives would mean anything that you’re using, that the patient is using, to produce a bowel movement. Now, when it comes to prokinetics, I would say the same thing, though, only if the prokinetic is actually giving the patient a bowel movement. However, if it is not, which usually they are not because we’re using them in very low dose, and usually people feel almost nothing from them, then I do not think you need to wait this long. So here, I disagree with them because most of the half-lives of these prokinetics are less than one day. In fact, they’re usually a couple of hours, with the exception of prucalopride, which is about 24 hours. So what I tell patients, just to be conservative, is, “Stop your prokinetic for two nights before your test,” being very, very conservative. But where I agree with them is if the prokinetic is producing a bowel movement for them, then I think that you should be off it for more days. DrMR: And when you’re looking at this from a first-time test to a retest, are you differing your recommendations there? DrAS: Pretty much, they’re the same. So even on a retest, I’ll ask people not to be using laxatives for—I usually say four to five days, five days if you can do it. And then, prokinetics, only stop one or two nights just to be absolutely sure. But if it’s producing a bowel movement, then longer. So yes, for me, it really is the same. And by the way, the folks who are constipated, to ask them to stop using whatever it is that’s giving them a bowel movement for that long is very uncomfortable for a lot of people. DrAS: So I personally feel like it’s okay to use enemas and glycerin suppositories, because that’s not purging the large intestine or really affecting the transit time. It’s just washing out the stool. DrMR: Compared to if they notice nothing. But I think a week is not a bad benchmark. But we may not need quite that long, exactly like you’re saying. So totally in agreement with you there. DrMR: Yeah. Please, please, please. DrAS: Okay. It’s the third one. It’s about not eating any complex carbohydrates the prep day before the test, which you were saying fermentable carbohydrates. They had 100% agreement on that. And one of the things that I always feel a little bit in disagreement about this is that most of the instructions in most testing kits allow white rice, sometimes also white wheat in the prep diet. And what I always like to say about this is that will be okay for some people, but it won’t be okay for others, because there are some people that white rice really triggers their symptoms. And then for others, it doesn’t. So for those people that it does trigger their SIBO symptoms, it’s not a good idea to eat that on the prep day, because we were getting into this with patients who never ate white rice because they knew it bothered them. And then they would read the instructions, and they would think that it meant that they needed to eat white rice. So then they would eat it, and we’d get a falsely high positive reading because it’s a fermentable carbohydrate in them. DrMR: I think that’s definitely a fair point. And to be completely objective, as I understand it anyway, the reason that that diet is recommended is that’s how the test was validated. So we do, I think, have a pretty good scientific leg to stand on in terms of, that’s what we use in validation of the test. But I certainly do think it’s plausible that if someone is eating a food that they know they negatively react to, that could be skewing the test, especially if that’s causing some sort of intestinal purge-type reaction and really throwing off transit. So yes, I think that’s a great point. DrAS: Yeah, and for some people, it causes them bloating, slow motility, and constipation. DrAS: So it’s very individual. It’s a small point, but this is all I do. And I see a lot of these challenging cases, so I’ve seen this. DrMR: Totally. And I think it’s worth reiterating that point, which is there are things on the SIBO prep diet, but it doesn’t mean you have to eat all those things. And I think it’s really common sense, but sometimes, people forget that just because it’s on the diet doesn’t mean that you have to eat it. And it’s similar where, if someone comes in and let’s say they’re going to go onto the low FODMAP diet for the first time but they know they have an allergy to something that’s allowed in the low FODMAP diet, it doesn’t mean that you should eat that food. If you already know that a food makes you feel lousy, then of course, don’t eat it, even if it’s on an allowable food list. But rather take forward what you know doesn’t work for you into the diet that’s being recommended for whatever the context is. Okay. DrAS: Perfect. And I didn’t have anything else I wanted to mention on the prep part and really not on the indication part either because we talked about quite a bit of that already. DrMR: So let’s go to the—let’s see. We got the testing prep out of the way. DrMR: Yeah, I think we got most of the indications. Let me just read through some of the main points I pulled out from the paper. DrMR: Indications for testing. In this category, they made the comment that small bowel culture is not satisfactory for assessing SIBO. We both totally agree on that. They suggest that breath testing is a diagnostic tool for SIBO. They suggest to evaluate for excessive methane in association with constipation and slowing of GI transit. They don’t like the breath test for orocecal transit. They think it should be used in assessing conditions with bloating and for carb malabsorption. So I think we pretty much hit all of those. Anything you wanted to go into there? DrAS: Well, one tiny point I can make is that I’m just so glad that they put the one there that it’s not to be used for orocecal transit time, because that was something I used to run into in labs in different countries, particularly in Australia when I would have patients there. The labs would interpret—they didn’t even perceive a SIBO positive ever. Pretty much, they only perceived fast orocecal transit time. So what was SIBO to me and all the other doctors like myself was fast transit time to them. And that was really frustrating. And so obviously, there have been a lot of folks, doctors and researchers, who really think the test should be used for orocecal transit time to the level that it was causing that type of difficulty. So I’m really glad they came out with their thoughts on this, that that’s not proper. And the reason for that is because the lactulose speeds transit time a little bit, in fact. DrMR: Precisely. And that’s a good segue into the next section, which is performing the test. And one of the first points there was that 10 grams of lactulose should be used in the lactulose test, because using more may speed transit and alter results. So they recommended 10 grams for lactulose, 75 grams for glucose. And there didn’t seem to be a highly data driven recommendation behind the 75 grams but rather that, for other types of testing, it’s usually contained in labs in 75 gram sachets. And so just for a convenience perspective, the 75 grams of glucose may be better. Here is where they recommend to rule out SIBO before testing for carbohydrate malabsorption. They recommend testing hydrogen, methane, and CO2, and that breath test may be performed shortly after cessation of antibiotic therapy to confirm eradication. So a couple points here that I’m sure you want to dig into. So lead us in, please. DrAS: Okay. Well, I love that they said the 10 grams for lactulose. Why I think this is important is there are a lot of local testing centers in more rural areas and many hospitals where they don’t do much breath testing. Now, this is changing more and more with the awareness rising of SIBO, but for all these years I’ve been doing it, I have patients all over and we would get them a test at a local center, because that’s where their insurance would cover it, and they would not know how much to give. And often, they would give too much. So it is a real issue that I’ve run into over and over. And I’ve had people come to me where they were given 75 grams of lactulose, and I’ve had to say to them, “You have to do this test over. We’re comparing apples and oranges.” And it hurt them terribly, in fact. So that’s very helpful. One other thing that we talked about—obviously in the beginning, I talked about the lactose and fructose ruling out SIBO. And you did, too. But one thing I like is that they said that needs to be a three-hour test. And that’s a keep point, because the third hour is what generally represents the large intestine. And primary lactose and fructose maldigestion and malabsorption are typically occurring in the large intestine. If they occur in the small intestine, then they have SIBO. So you do need a three-hour test for that. And I’m glad that they just made that all the more clear. And then lastly, the fact that they’re saying hydrogen, methane, and carbon dioxide need to be measured is—what’s really important to me about that is the methane because, again, testing centers that are unfamiliar with SIBO may have an older machine that doesn’t test methane. Or they might have a machine that tests methane. They don’t even know it’s important, and they don’t even put it on the report form. And believe it or not, I’ve encountered this a lot of times. It’s still to this day. I just had a patient in February that this happened to from—I can’t remember where they lived. And even here in Portland, which we could consider like a SIBO mecca, our big hospital system here did not know to report methane on the form until we naturopaths started demanding that they do it. So very glad that they put that in their report. DrMR: Yes, and I’m really happy they put that comment about constipation in there also, so that we can start seeing the correlation. Even though it’s not 100% correlation—and I have a note about that for us to discuss later—even though, because you have methane doesn’t guarantee you’re going to have constipation, there’s about a 5 times increased risk. And I’m glad to see that they’re looking at SIBO not just as a reverse tie to recommend rifaximin, which has been approved for diarrheal-type IBS, but also there’s that other form of IBS. And this underlying methane SIBO is important to be identified as part of this clinical syndrome. DrAS: Me, too. I was really pleased they put that in there. Very important. DrMR: Okay. Shall we go to interpretation? DrMR: Okay. And this is where there are a few very interesting things. So a few salient notes here from their section on interpretation. A rise of 20 ppm from baseline in hydrogen by 90 minutes should be considered a positive test for SIBO. Two peaks are not required. I was really happy about that one. DrMR: And until further data are available, they suggest a level of 10 ppm be considered positive for methane on a breath test. They did not specify needing a rise, just a point of 10 ppm at any point. They also commented that there was inconclusive data regarding a methane above 3 ppm. So any bullets there you wanted to add, Allison? Or do you just want to jump into some of the particulars? DrAS: No, let’s get into the particulars. Well, first of all, I’d like to say that I don’t go clinically by 90 minutes. I go by 120 minutes. And there are a lot of different opinions about this from real SIBO-specializing doctors. I’ve talked with a lot of my colleagues about it, and what a lot of them feel, and that I feel, is that 90 minutes is definitely good for research, because you want the research to be really clean. You want to be sure that the people in the study really have SIBO and that it’s not maybe something else. And I’m sure you’ll talk more about this, Michael, but I know that the other really important point is that, if you make it earlier, you’re possibly lessening some false positives. Between 90 minutes up to around 120 minutes starts to be a transition zone where you’re not so sure. Is it the small intestine or the large intestine? But honestly, the same thing can be said from 120 minutes to 140 minutes. I have many cases where you would normally think that is the large intestine time, going past 120 minutes. But they have such delayed transit and such extreme constipation that, in fact, we really are seeing the small intestine. So what I feel is that clinically from all these years practicing, I’m happy when the test is positive before 90 minutes. It’s a stronger diagnosis. Great! But what about those folks when it’s past 90 and it’s to 120, and you really think it could be SIBO? I want to reserve that for myself as an experienced clinician. I still use 120 minutes. What I can tell you is that we all see each other’s failures. Patients go around to all these doctors. And no one can help everybody. But I’ve certainly seen many, many patients where they had been told by another doctor that their test was negative because they were positive between 90 and 120 minutes. And then I went on to treat them and they got better. So I know you need to use your clinician’s artful interpretation. You have to look at symptoms and history. But you always do. So I want to stick with my 120. I know all this. I read all these articles. I know that many doctors prefer 90 minutes. And I’m still choosing to go with 120 and using my own powers of interpretation to decide about that. DrMR: Because I feel like it’s kind of vague. So when I did the review on the glucose test, you clearly see that the glucose test reports fewer people as positive for SIBO. And actually, there’s some data that may even indicate that the glucose test suffers from some false negatives. But I do think that the lactulose test has been shown to clearly have some false positives. So I think, if we look at the lactulose test, because it can get all the way to the end and through into the large intestine from the small intestine, that if we’re taking the wrong time interval for interpreting what is positive and negative, we run the risk of saying that someone has SIBO when it’s actually a rise that we’re seeing being produced from colonic bacterial fermentation. So that’s, in my mind, definitely a risk with the lactulose. The glucose absorbs more quickly, and we have the opposite problem. Glucose potentially under-reports. Lactulose potentially over-reports. And so the time interval in my mind became very important for trying to hedge against either under or over-reporting. So what I had been starting to do in the clinic for a while was look at—really, 100 minutes was the cutoff I was starting to look at as what I considered to be more of a safe turning point for that transition from the small intestine to the large intestine. And I think you made an excellent point where having that earlier window is a great idea for research, completely agree with you. I think we want to have a more standard definition. And there’s the other part of that which is, “Well, what happens when someone still is expressing all the symptoms of SIBO?” And we see someone elevated at 100 minutes or 120 minutes. My thinking has always been, it’s never a good idea to limit your treatment based upon labs only. Like you only treat the lab, and you don’t treat the person. So if someone came in, and they had a positive SIBO at 120 minutes, and they had already worked on their diet. They have used some other preliminary therapies that can help with IBS, like a probiotic, and were nonresponsive to all of those, and they only had a positive point at 120 minutes. I would still try a therapeutic course of anti-microbials, whether it be herbal or antibiotic, in that case. I think that would help immensely to get the feel a little bit more on the same page, because the other side that I see is people that are somewhat asymptomatic who only have a mild elevation at 120 minutes or maybe even at 100 minutes. And they’re being told they have to keep treating their SIBO, keep treating their SIBO, keep treating their SIBO, even though they’ve hit the clinical endpoint. And that creates a lot of distress and fear in someone and almost feeling like they’re broken. So that’s the other side of the coin that I think is important for us to factor into this whole discussion. DrAS: Extremely well said. Totally agree with you 100%. Totally, as usual. DrAS: Now, there’s one other piece in this, which is that they talk about a rise of hydrogen. Now, there are two things here. What I’m so pleased about is finally they’ve come out and made some official publication, which I think might be one of the first times except for a paper I wrote, that you don’t need a rise of methane. And we’ve known that for a very long time, because anyone who does much SIBO testing, you see the standard pattern for methane is that it starts high and stays high and very often doesn’t have that 20 ppm rise. DrMR: Or flat lines, in case people are having a hard time seeing that. It’s just flat across the entire test. Sorry to cut you off, Allison. DrAS: Yes, and yet very high. Very high often. So yes. Now, something that I do differently is—so all along, I’ve been trying to teach about that, that you don’t need a rise for methane, but I also don’t always use a rise for hydrogen. And that doesn’t fit with this at all. And I’ve been doing that for quite a long time now. I feel like 20 in and of itself, so long as the baseline was somewhat low, so long as the baseline wasn’t elevated above the 20, can also be indicative. And in fact, down in their text, they do say a high hydrogen baseline can be an improper prep. Certainly, that’s the classic scenario, but it could also be SIBO. And so, once again, I reserve the right to allow just a definitive 20 without the rise to be SIBO. But now that this breath test consensus has come out, what I’d love to do is go back and look at a bunch of tests and see. How often does that come into play where there isn’t a rise and I’m just taking the 20? And was I right or not? Because I think I’ve been right for all this time. I’m not necessarily suggesting everyone else do what I do, but I just do what makes sense to me and what I’ve seen work. So I do that differently. DrMR: Yeah, and I think what you’re saying also is that—again, to bring it back to, I think, a simple principle that’s very profound—the testing is not the end-all, be-all for determining treatment, but it is one guiding tool out of many. And to help us in trying to learn more about these conditions, it is good to have these formal guidelines. But we don’t have to just blindly follow those. We have these more formal guidelines. But like you said, we reserve the right to treat patients that perhaps have the clinical indications that they may benefit from whatever treatment it is that we’re trying to justify. DrAS: Absolutely. Yeah, and then the double peak. That’s just an obvious one. That was an old standard for interpretation. DrAS: An old way that it was like you had to have a double peak. By the way, a double peak is a rise in the first two hours indicating the SIBO and then a second rise in the third hour, which would indicate the normal large intestine bacteria that should be there producing some gas. And while that’s a beautiful thing when you see it, it’s not very common. And another one that they didn’t mention that’s an old form of interpretation is an early rise. And I know some local doctors, some MDs, who were still using that up until about a year or two ago. And that’s long been discarded, because an early rise will only indicate proximal SIBO. And it’s more common to have distal SIBO. So anyway, I was just thrilled to see that. DrMR: And one thing I just want to chime in on the hydrogen piece also is—and I’m sure you see the same thing, Allison, but there are some cases where hydrogen will be elevated at baseline. And what I look for are some of the subtleties in the pattern where, let’s say their first hydrogen sample is—I don’t know—32. And then they’re second time interval now goes down to 16. And then it goes down to 7. And then from there, it starts going up again. And it goes up to 75 by 100 minutes. So I look at that as potentially there was just some mis-preparation. And we saw this noise at baseline. We saw them go back to more of a normal, but still had that rise within the small intestinal window. That, to me, is clearly indicative of some sort of testing error. And I will almost always treat that sort of finding. But I’ll also be open to treating if it’s more of a flat line hydrogen. But I just wanted to throw out that pattern. And I know that’s been discussed before, but just as a way of illustrating that we don’t have to blindly follow labs. We can also look past the formal guidelines and interpret some of the nuance. DrAS: Absolutely. I would agree with that totally. Now, the next one was just discussing that they’re lowering the official methane positive to be 10 and then also talking about this 3. So what’s been going on is that for quite some years—I think three or four—Dr. Pimentel has been teaching—he began teaching this at our first SIBO Symposium we have here in Portland. I guess it was four years ago, I can’t remember how many years it was—that a methane of 3 he takes to be positive. And sort of the way that we’ve been interpreting this is we say from 3 to 11, because up until now the official positive has been 12. So a methane of 3 to 11 would be positive if a person has constipation, but no matter what bowel symptom they have, if it’s 12 or above, that is the official positive. So what they’re telling us here is that they think the official positive should be lowered to 10. And there’s still not enough agreement amongst all of the experts here about that 3 or not. They’re just not sure yet. And what they said in there was there’s just not enough conclusive data. I think they’d like to see some more studies done to show that. And I did call some of the lab directors and such and asked them what they thought about this 10 versus 12. They sort of felt like, “Well, goodness. It’s only 2 points. It’s not enough.” Because the breath test machinery is sensitive to within 3 points. So changing it by 2 is almost like not changing it really. DrAS: To them, it was fairly inconsequential. And I think what that shows here is that the experts are definitely feeling the move towards lowering the methane, but they’re being conservative about it so far. DrMR: Yeah. I think that’s fair enough. Totally. DrMR: Okay. So I had a couple other points here I picked out. And I know you have some points, too. So I’ll just chime out a couple. And then we can go from there. Oh, I already mentioned this one, that those that are methane positive are five times more likely to have constipation. And I think most people probably know that methane gas is associated with constipation. So just maybe a simple point here, but it’s not a guarantee to have constipation if you have high methane. But you definitely have a highly increased probability. Anything you want to add there, Allison? DrAS: Absolutely. We see that across medicine all the way. It’s like we have these main patterns. but then there are always all these exceptions. The classic one is when we’re all shown pictures and x-rays of herniated disks where that patient felt no symptoms and no pain. So this is just facts of life. Not everybody fits the pattern. DrAS: And same thing. A person can have really bad constipation and not have methane show up and still have SIBO. And clearing their SIBO clears their constipation. DrMR: Right. Right, exactly. That’s actually the end of the main points that I had. Is there anything that you wanted to go into that I didn’t mention yet? DrAS: I only had one other thing, which is I thought it was nice to see down in the body of the test a rebuttal of the—there are one or two tests that have studies that have come out using scintigraphy to show that breath testing is not good. And I remember Dr. Pimentel responding to this vocally in our symposiums multiple times, and it was nice to see it in print, what he usually says. So the idea is they’re tracking—sort of like they’re tracking a substance that they can visually see moving through the intestine. And they’re tracking it along with the breath test to see if it works. And what these articles come up with is that by the time you start seeing a result with the breath test, the beginning of the lactulose is starting to come into the large intestine. And what they see is about 5%. It’s just beginning to come in. So they say, “If 5% of the lactulose, the head of the bolus, is in the cecum (the beginning of the large intestine), that means that the rest of it is still in the small intestine.” So 95% of it is still in the small intestine. And hence, the rise in breath gases is not necessarily due to fermentation. They are in the large intestine, in the cecum. And also the lag time in fermentation is not taken into account. There’s a lag time, so you’re seeing a lot of fermentation still from the small intestine. Basically the argument is 95% of it is still in the small intestine. Therefore, it doesn’t really debunk breath testing. And whether one agrees with that or not, I was glad to see the rebuttal in print, because it’s honestly probably one of the most frequently asked questions. You can search PubMed on breath testing, and let’s say you’re looking at the validity. And you can find anywhere from 15 to 30 or more articles that it seems to be reliable and work. And then there is one or two to say, not so much. And everyone focuses on the one or two. DrMR: Yeah. Well, that’s why one of the things we’ve talked about many times on the podcast is looking at the trend in the data and when someone cherry picks one study because they think something and they try to use that as supporting their argument. That’s really, in my opinion, a terrible argument, because it’s not an argument at all. All it really is, is just you supporting what you already think rather than looking at all the evidence and trying to formulate a well-informed opinion. And that’s why I’m glad they also, in this paper, cite a meta-analysis that doesn’t show that, I guess, formally diagnosable SIBO—although this kind of changes now because the way we diagnose SIBO is being updated. But the previous meta-analysis didn’t show that breath testing would diagnose SIBO, per se. But it did show that there was altered fermentation and breath patterns in patients with IBS, and that was according to a meta-analysis. And so that’s going to give us a pretty darn good representation of what the body of literature suggests rather than one study that may try to refute it. The meta-analysis will do a pretty good job of showing, again, the average consensus of most of the data. DrAS: Absolutely. Well, those were all the points I wanted to make. DrMR: All right. There was actually one final one as I was flipping through here. A couple things regarding gaps in knowledge. They mention hydrogen sulfide, and I think it’s not going to be too long until we finally, hopefully see hydrogen sulfide testing become accessible in routine clinical practice. I don’t know if that means four months or two years, but I don’t think it’s terribly far off. And another comment was that the role of breath testing and retesting after SIBO therapy is still an area that we have a knowledge gap in. And I think it’s important to mention that just so that, as a clinician, if you’re scratching your head because of the test results, that doesn’t mean that you stop treating or maybe start treating if you haven’t been treating it, but rather that you look at all these things together. And here, they’re saying with breath retesting in assessing SIBO treatment, we’re still not sure exactly the role that that plays. I think there’s some good anecdotal evidence from clinicians, but just something there that I also wanted to bring attention to. DrMR: All right. Well, I guess that’s it. A lot in this paper, but I think, if nothing else, this will give us a more standard definition of SIBO and the testing of it. And I was thinking about this the other day in terms of, “Does it really matter to get this wrapped up in how we define, for example, constipation?” There is a diagnostic criterion for constipation. Is it really that important? And I think, yes and no. In clinical practice, probably not so much, but I think when we’re trying to standardize what we’re calling a condition, to have these more standard definitions helps so that different clinicians can start defining the same thing, start treating the same thing, and then we can start gathering data regarding that thing. So I’m not one, by nature, to get overly meticulous with a definition. But it is, I think, important to try to have consensus where we can in terms of how we diagnose something or what symptoms constitute a given syndrome or condition so that we can all be speaking the same language, so that, as we learn more about these things, we’re all talking about the same thing. And that’s what has not been the case so much so for SIBO. And that’s, I think, part of the reason why there has been some resistance to SIBO—what we call SIBO and how it’s defined or diagnosed has been inconsistent amongst the studies that we have. That makes studies what’s known as heterogeneous, meaning they’re all different, and then we can’t pool those studies to strengthen the data. So when we try to make our data more homogeneous, or more standardized, then that really strengthens our scientific argument. So that was one other thing I was thinking about in this regard, in terms of it being valuable to try to be a little more stringent in how we define these things. And know how to have it help us, don’t make it rule us. But also don’t be blind to it. It just has a role, each plays their role, and we mix them together in hopefully a smart way and are made better for it. DrMR: Absolutely. And definitely, it’s a process. When we started gathering the data for the biofilm study that we’re working on publishing now, we didn’t define people as having IBS or not having IBS. And now, in retrospect, I’m kicking myself because just knowing if they fit into that box or not would have been really helpful. And we didn’t use a validated symptom score which—now we’re using an SF12, which is a short form 12, which isn’t terribly different. But at least, we can now compare. Let’s say someone with IBS used a laxative. And their SF12 quality of life score was tracked. We’ve now used, let’s say, oregano, just to pull a random herb out of the air, and we’re going to show what kind of change in that same symptom score. And so now, we can do an apples-to-applies comparison which, again, I really think will help the natural medicine movement be a little bit stronger, because now we’re starting to all speak the same language. So these things aren’t just for academic fluff. I think these things really will help us ultimately gain broader acceptance for the good work that we’re all doing. DrMR: All right. Well, I guess that is it, guys. Allison, thank you so much for taking the time. And the SIBO SOS Summit is coming up soon. So please, check that out. And I’m sure it’ll be very enlightening. And I guess, Allison, I’ll see you—I don’t know. You must be speaking at some conference soon here coming up. DrAS: I’m sure. Thank you so much for having me. It’s always a pleasure. DrMR: Same to you, Allison. Thanks again. Great question Sandra. I’v added this to my list to answer in an upcoming ‘listener question’ episode because its too long to answer here. Stay tuned! Has her question been answered in a “listener question” episode? If so, where would I find it? I’d say look at stool testing. Breath test is not enough information. Another great and informative podcast. A question regards methane on the breath test, Could the pre-test diet be driving false positives on the breath tests. In 2015-16 I saw a practitioner for IBS, I had gotten nowhere with my MD so sought out a functional medicine practitioner instead. After numerous tests I was diagnosed with SIBO. My symptoms at the time were very painful cramps, fatigue, and alternating diarrhoea and constipation which came on very short notice, which caused a lot of anxiety when I wasn’t near a toilet. I was put on a low fodmap diet and went through 6 rounds of consecutive anti-microbial treatments over 14 months. My methane levels went from a peak of 52 at the start to 7 within 6 months. My practitioner said I needed to be below 3 and even though I was feeling 90% better and going to the loo every day. I carried on for more rounds of treatment, with little change in the results. I noticed that the day before the test I would not have a bowel movement, due to the restrictive pre-test diet and also the tension of getting ready for a test. On what ended up being for my final treatment I decided to go on an even more restrictive semi-fast a few days before the test, eating only eggs and meat. My logic was I thought I wasn’t adhering to my pre-test diet well enough so that was why the methane was peaking at 7. I didn’t go to the loo for those days and when I tested my methane peaked at 58, higher than the peak before any treatment. It seams to me the pre-test diet drives false positives because it could be driving ‘healthy’ people back into constipation prior to the test. There is a correlation between methane and constipation, but constipation alone doesn’t mean we have SIBO. What are your thoughts on this? Also, what about you or Alison coming up with a pre-test diet plan that all practitioners could use so there is standardisation on this issue across the board? Also, interesting to hear that the new benchmark for Methane is now 10 instead of 3. If my practitioner knew this I could have stopped my treatment much earlier rather than spending thousands of borrowed money on extra unnecessary treatment. I’m supporting my wife and 2 kids with my salary alone so hasn’t been an easy time financially. Also, the treatment makes you feel like hell, so do this unnecessarily is another annoyance. It would be interesting to see what evidence Mark Pimentel was using to recommend the benchmark of 3, along with why he recommended a ban on probiotics during treatment when evidence shows they are so useful in treatment plans for IBS sufferers. Sorry for the rant. I’m actually thankful for my practitioner for fixing me, and educating me on food and health in general, Just wish it could have been done more efficiently though. Great questions! Unfortunately there is just so much here that it is more than I can get into. Sorry not to be of more help! OK, apologies I gave you way too much information. The main question I’m interested in your views on is whether you think the pre-test diet for the hydrogen/methane breath test could be causing constipation in healthy patients and therefore lead to false positive methane levels on the test. 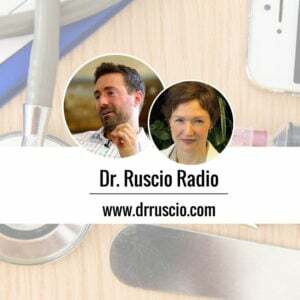 I just listened to Dr Ruscio on SIBO SOS summit. He mentioned low dose Resolor as a prevention of SIBO relapse. I was wondering what ‘low dose’ means specifically. 0.5-1mg is often used, but check this with your doctor. Do you recommend stopping probiotics during treatment with Rifaxim or herbal antibiotics? I’ve been following your work, have bought your book and watched you just now at SIBO Summit. I really trust your opinion based on research and science. I’m also a health coach and am obsessed with functional medicine. I’m in a bit of a “What to do” scenario that I was hoping you’d address in this pod cast. I have a semi positive? SIBO Breath Test. My GI doc says it’s positive and wants to put me on Xifiaxin and my Functional Medicine Doc doesn’t. He thinks the test is positive enough to be considered SIBO and wouldn’t recommend dropping antibiotics on my gut. My Hydrogen start was 4 and went to 18, my methane started at 6 went as high as 8 then started to drop off. I don’t want to make things worse by taking Xifaxan. Chief complaints are constipation, gas and I do seem to be having an histamine immunological reaction to something that causes my mouth to breakout into hives and then painful canker sores. I’ve also kind of done a bunch of treatments (see below), similar to your book so I’m not exactly sure where to pick this back up. Feel a bit lost on the best next step. Do you have any suggestions? Quick hit – I’m 28, Leaky Gut at & Hashi’s started 4 years ago, IBS since age 16. Was able to calm Hashi’s/digestive systems almost 100% for four yeats until January. Lost weight, tired, Been through AIP, a short stint with Low Fod Map, some antimicrobials none of which restored me back to what I was feeling. I’ll pass this along for him to hopefully answer on an upcoming listener q+a episode. I just found this podcast as my practitioner has changed her mind from a negative breath test per Genova to saying it is positive. My numbers go from 4 to 3 to 4 hydrogen and 0 to 2 for methane in Dec. 2016. I’m a constipated type. I also wonder about my pretest diet as Genova told my prac. that it was okay for me to take magnesium citrate up to 24 hrs. before the test, which I did. Very importantly: What is the date of the podcast? The SIBO Summit we are directed to is 2019, but these comments are from 2017. I like Dr. R’s podcasts, but they all need to be dated. Things change. Thanks for the information. Chronic digestive problems, et al, is, as you know, a very difficult journey. I’m 70 and tired. This was published in June of 2017. Can anyone comment on my question about my breath test results. My final numbers were 4 on Hydrogen and 2 on methane at 120 mins. They were never any higher than that. Is there anyway that test would be considered positive? I don’t want to do FODMAPS unless it is absolutely necessary. I’m already on candida, gluten-free and low oxalates diet. Unfortunately we can’t interpret tests or give personalized medical advice on this forum. There should be some helpful information in the podcast above and in this video: https://drruscio.com/do-you-really-have-sibo/ or this one: https://drruscio.com/you-may-not-have-sibo-despite-your-test-results/ Good luck!